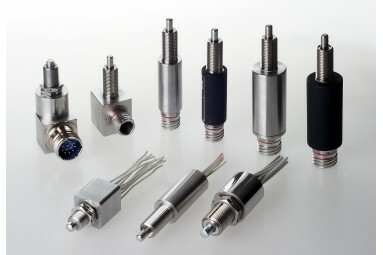 Inertia Switch (IS) is the world leader in all mechanical gravity switches for aerospace applications. Because of the sensitive ITAR regulated nature of the rocket and missile sector of the Inertia Switch product line, Allied International provides international OEM and aftermarket support for all Inertia Switch acceleration Sensitive Devices and limit switches. The product line consists of a large variety of acceleration sensitive switches, safety and arming devices, shock sensors, and recorders. Inertia Switch’s patented “Magnetically restrained Seismic System” represents a significant advance in motion sensing. Customers can choose from well proven off the shelf products tailored to their specific flight flight profile or opt for a blank slate custom solution. 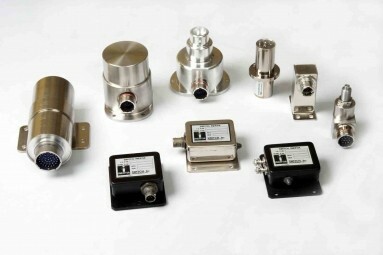 APPLICATIONS: Only Inertia Switch’s magnetically restrained devices meet the latest RCTA vibration requirements for ELT Emergency Locator Transmitters. Other aerospace applications included control of CVR and CDR (Cockpit Voice Recorder and Cockpit Data Recorder) for commercial aircraft, activation of fire extinguishers and erasure of IFF data on crash landing for helicopters, arming of missiles and torpedoes, and parachute deployment for satellites and sounding rockets. IS limit switch applications are for military and other severe applications such as for military helicopters to determine whether there is weight on the landing gear or whether all the various access ports and doors are closed. Every acceleration, shock and impact switches is calibrated on a centrifuge during the manufacturing process. In designing the switch the IS engineers take acceleration over time into account to lessen the possibility of false alarms due to vibration for example. Unlike relatively inexpensive spring based acceleration switches, magnet based switches are not affected by spring fatigue which can cause accuracy to deteriorate over time. Depending on the customer requirement, acceleration switches can be activated along one, two or 3 axis. The switches used in conjunction with CVR and FDR have been in service for decades. They prevent data loss by stopping the recording function at time of crash so that data is not recorded over if the recorder is not found promptly. Inertia Switch limit switches were selected to equip the entire C-5 fleet after a crash caused by an inadvertant uncommanded thrust reverser deployment during take off. On large commercial aircraft where the conditions are not as severe this function is typically performed by purely electronic sensors.